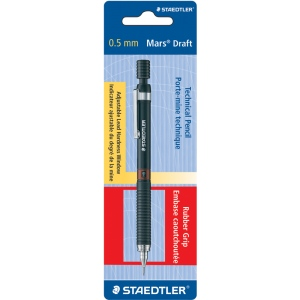 Mechanical pencils for writing and drawing. * ISO color-coded on barrel and push-button. * Features include adjustable hardness degree indicator non-slip rubber grip and chrome-plated metal clip and tip. * PVC and latex-free eraser and HB leads included.